The RNA Biology Laboratory was formed in 2017 to enhance RNA research at the NCI. Our mission is to carry out cutting-edge research into the roles of RNAs and RNA-protein complexes in cancer and to foster synergistic interactions and cross-disciplinary collaborations between a wide range of RNA scientists and clinicians. Areas under study include the pathways by which RNAs are synthesized, processed and degraded, the mechanisms by which noncoding RNAs and RNA-protein complexes contribute to cell function and tumor virus replication, the ways in which alterations in RNA metabolism contribute to human cancers, and the development of RNA-based therapies. Noncoding RNAs & RNPs Section: Dr. Sandra Wolin studies how noncoding RNAs function, how cells recognize and degrade defective noncoding RNAs, and how failure to degrade these RNAs affects cell function and contributes to human disease. Molecular Control & Genetics Section: Dr. Donald Court studies transcriptional and post-transcriptional regulation in bacteria and phages, including mechanisms of ribosome biogenesis and ribosomal RNA processing by RNase III. His lab has also developed a method for genetic engineering in E. coli. This technique, called recombineering, has been adopted to facilitate genetic engineering in mouse models. RNA Mediated Gene Regulation Section: Dr. Shuo Gu focuses on mechanisms of RNA interference, the pathways by which microRNAs are synthesized and degraded and the applications of microRNAs in cancer treatment. Areas of particular interest include the fidelity of microRNA processing and the cellular roles of microRNA modifications. Molecular Mechanisms of Transcription Section: Dr. Mikhail Kashlev studies how RNAs are synthesized. He conducts biochemical and genetic studies of the mechanisms regulating transcription elongation and RNA polymerase fidelity in E. coli, yeast and mammalian cells. They also investigate the impact of transcription errors in cancer, and study transcription-coupled DNA repair in yeast and mammalian cells. Theory of Biology: Dr. Thomas Schneider uses information theory and bioinformatic approaches to characterize transcription factors, promoters, ribosome binding sites, RNA folding, RNA splicing, and many other biological processes. He invented the sequence logo. RNA Structure & Design Section: Dr. Bruce Shapiro pursues research in algorithms for RNA secondary and three-dimensional (3D) structure prediction and analysis in order to increase our understanding of RNA structure and function in biological systems. The laboratory also develops strategies for synthesis and delivery of therapeutic RNA and DNA nanoparticles. Tumor Virus RNA Biology Section: Dr. Zhi-Ming Zheng focuses on the RNA cis-elements and protein-RNA interactions that regulate viral and host gene expression during infection with tumor viruses, including high-risk human papillomaviruses and Kaposi sarcoma-associated herpesvirus. DNA’s second-in-command could help treat a variety of diseases. It’s common knowledge that our DNA plays an essential role in health and illness, but considerably less is known about the impact of its companion molecule, ribonucleic acid (RNA). Once thought to simply relay DNA’s instructions to the cell’s protein-creating machinery, we now know that RNA comes in several varieties that have tremendous influence over how genes behave. As a result, RNA presents an extremely promising avenue for the treatment of many conditions. The IRP’s strong foundation in RNA biology research has allowed our investigators to make numerous important discoveries about the molecule itself and how it can be leveraged to fight disease. Much of this work has focused on RNA interference (RNAi), a process by which small strands of RNA called small interfering RNAs (siRNAs) reduce or eliminate the activity of a gene. So far, IRP scientists have capitalized on RNAi to develop potential therapeutic approaches for neurodegenerative diseases like Parkinson’s disease, hemorrhagic fever viruses, and even certain cancers. Our researchers are also leading the way on creating methods to deliver RNA-based treatments directly to tumors. Our increasing understanding of RNA, combined with the emergence of new, cutting-edge technologies for studying it, is now hastening the clinical revolution promised by RNA-based therapies. In particular, the Trans-NIH RNAi Screening Facility has proven to be an incredible boon to IRP researchers by allowing them to rapidly test how the gene-silencing effects of thousands of different siRNA molecules affect normal and diseased cells. Facility staff help investigators with all aspects of project planning and execution, including assisting with the setup for RNAi screens, providing access to numerous commercially available collections of siRNA molecules, and offering tools for storing, tracking, and analyzing data. The RNAi program also conducts research of its own to advance the science of RNAi screening, such as efforts to reduce the rate of false-positives. Check out all 12 of the domains in which we are Accelerating Science to learn about how IRP scientists are tackling important biomedical challenges. CCR scientists have discovered that a protein produced by bacteria that naturally inhabit our bodies may trigger the autoimmune disease lupus. The results of the study could unveil an entirely new set of drug targets for treating lupus and other autoimmune diseases. Collaborators on the study included scientists from the Yale School of Medicine and Brigham & Women’s Hospital. There are many ways to categorize the research performed at the NIH Intramural Research Program: biomedical or behavioral; computational, basic, translational, or clinical; excellent or outstanding; wow or double-wow; and so on. When we launched the irp.nih.gov website, we utilized the concept of scientific focus areas, or SFAs, and identified 21 such SFAs at the IRP, from biomedical engineering & biophysics to virology. These SFAs are useful in providing both intramural researchers and our external scientific colleagues with a snapshot of who at the NIH is doing what. Indeed, this was a major reason for creating the IRP website in the first place. We asked our principal investigators (PIs) to identify with up to five SFAs on their IRP profile pages so that we could sort and list the NIH PIs in any given SFA for all to see. We thought the 21 SFAs did a rather nice job of summing up all the diverse science in the IRP. Then along comes RNA biology. It's not as if the field is new; some 30 Nobel Prizes have been won involving RNA over the decades. But the field has had a renaissance in recent years with discoveries such as that of noncoding RNA (ncRNA) functioning in genome defense and chromosome inactivation. Newly revealed classes of RNAs and their remarkable functions are poised to revolutionize molecular biology, with profound implications for clinical sciences. So, seeing how we have numerous RNA biologists on IRP campuses, we decided this summer to create a new SFA for the topic. Key areas of IRP research in this field include the elucidation of RNA biogenesis pathways, the determination of RNA structures, the identification of functions for the various classes of RNAs and RNA modification, the establishment of the role of RNA in disease, and the exploration of RNA-based and RNA-targeted therapies. Of course, when we first set up the IRP website, RNA wasn’t an SFA option. 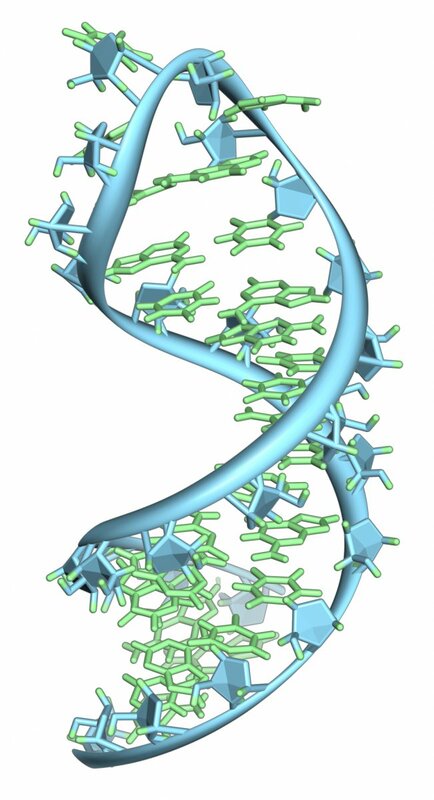 The RNA folks inevitably chose SFAs such as genetics or chromosome biology. But many more will identify with RNA biology as they become aware of the new option, and I'm hoping to build a vibrantly visible RNA community. You can see all the SFAs at https://irp.nih.gov/our-research/scientific-focus-areas and our growing list of self-identifying RNA biologists at https://irp.nih.gov/our-research/principal-investigators/focus/rna-biology.